A small fire burns brush and damages cars in Redwood City (July 10, 2016). 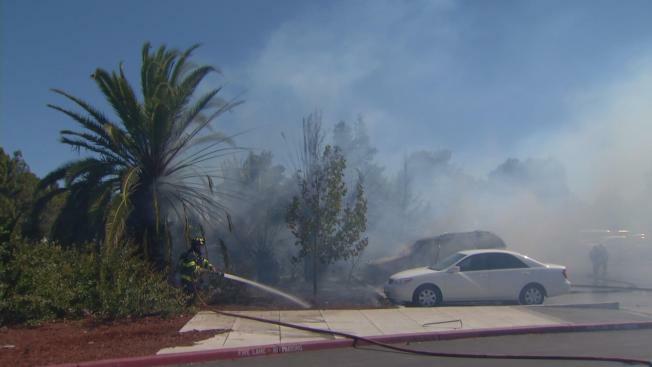 A small fire broke out in Redwood City Sunday morning, burning brush and palm trees as well as damaging cars parked nearby. The blaze was reported at 10:15 a.m. near a parking lot next to the intersection of Main Street and Veterans Boulevard, according to NBC Bay Area staff.